Ever since I made my cashew coconut cream cheese frosting, I’ve been totally hooked on soaking cashews and blending them up into all sorts of creamy sweet experiments. Chocolate chip cheesecake cookie cups and a coming-soon chocolate chip cheesecake dip, and now my first ever “official” cashew based cheesecake. Seriously, WHAT took me so long?! 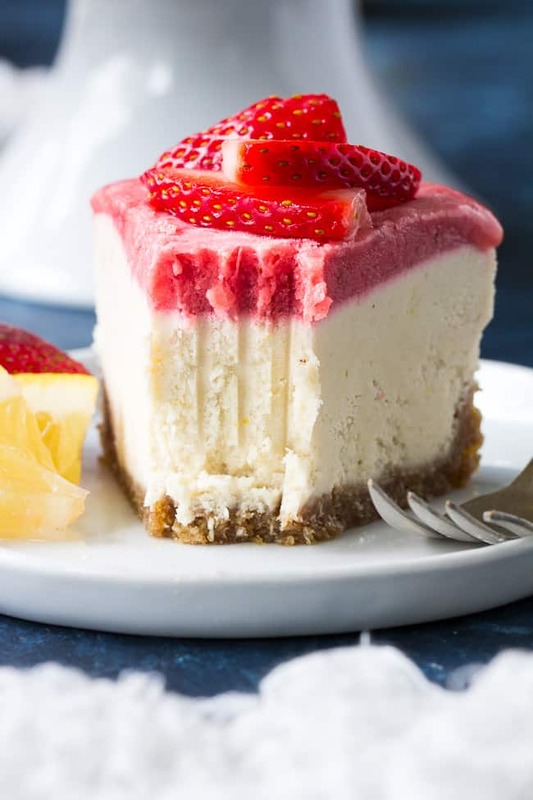 It’s easy, insanely delicious, and legitimately reminiscent of actual cheesecake, which used to be a BIG “thing” for me. Yes, cheesecake. 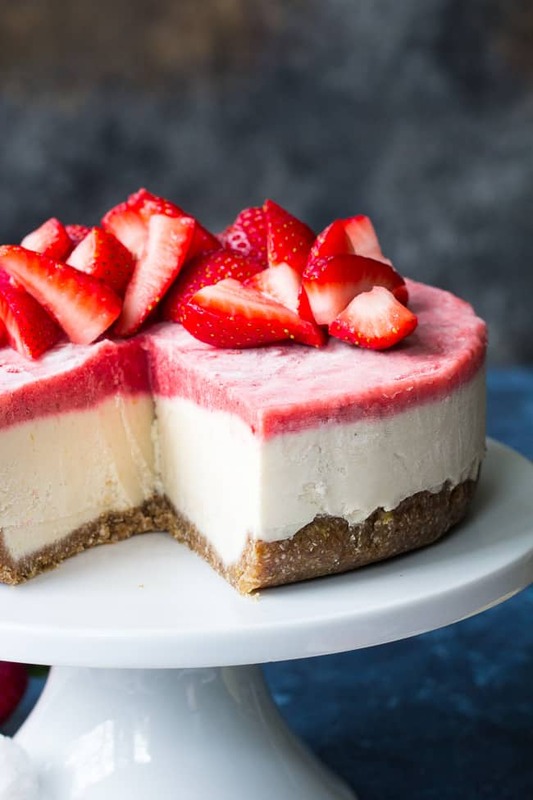 There was a time in my life when I became totally obsessed with baking all different types of cheesecake, inspired by my lifelong love for cheesecake. Seriously, I remember my first ever time eating a slice of cherry-filling-topped New York cheesecake when I was probably about 5 or 6 years old. 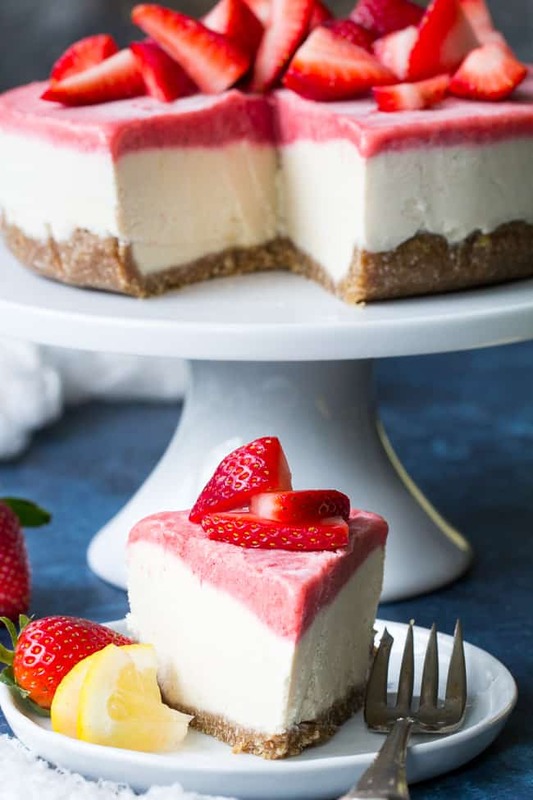 I’m not joking when I tell you that I was blown away that such deliciousness was allowed to exist in the world (I mean, most of my diet at that point was cheerios and egg salad sandwiches) and cheesecake instantly became my favorite dessert. In my decadent cheesecake baking days, I experimented with everything. I tried out a new flavor almost every week. Every occasion required a new cheesecake, and luckily, I lived with my parents still so there was always someone to help me eat them. 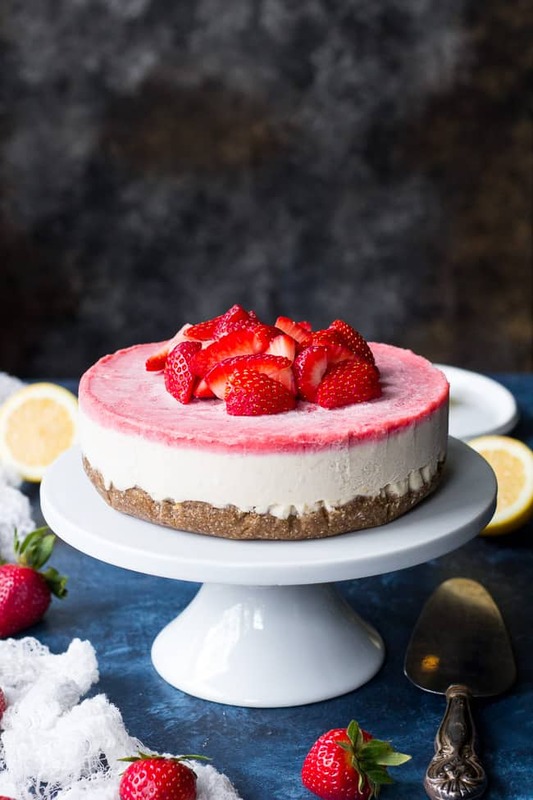 I was in my first year of grad school, and, if you’d told me I’d eventually be making a living baking stuff like cheesecakes rather than doing what I in school for (social work) I’m not sure how I would’ve reacted. Either way, that time was spent “training” myself and honing my baking skills, which definitely wasn’t a useless pursuit after all. Anyway, I really do think one of the reasons I put off making cashew based paleo and vegan cheesecake for so long, is the same reason I haven’t yet attempted to make a paleo bagel – fear that it just wouldn’t be the same. And, no surprises here – I will be the first to say that this is NOT the same thing as a cheesecake – BUT!! (the but matters) it’s STILL delicious, and STILL happily reminiscent of a genuine cream cheese filled cheesecake. 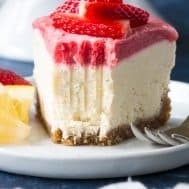 In short: this vegan cheesecake is not “just like” cheesecake, but rather it surprisingly mimics the texture and flavor of actual cheesecake, while being delicious in its own right, and far healthier than cheesecake as you’ve always known it. Am I talking too much about my past relationship with cheesecake? You didn’t realize we’d be having a cheesecake lover’s therapy session, I’m guessing. I think I’m ready to move on and talk ingredients now! I wanted the main part of this cheesecake to be lemon flavored, since I’ve been super lemon-happy ever since making lemon curd. 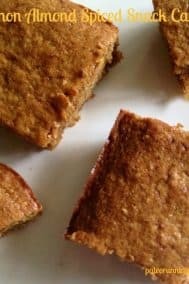 The crust is sort of like a chewy lemon flavored Larabar, sweetened with dates and flavored with lemon zest. The lemon layer is the bulk of the cake, and it’s absolutely perfect. 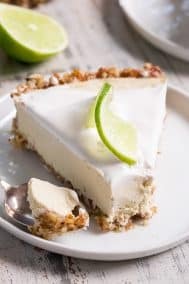 Soaked cashews, coconut cream, refined coconut oil (no coconut flavor), lemon juice and zest and pure maple syrup are blended up and poured over the crust. After being thawed in the refrigerator overnight, this layer was so creamy and cheesecake-y that I almost couldn’t believe it. What was I waiting for? The strawberry layer is there to give you a kick of berry flavor and it goes really well with the lemon. This layer also contains soaked cashew and coconut cream, along with fresh strawberries and maple syrup. 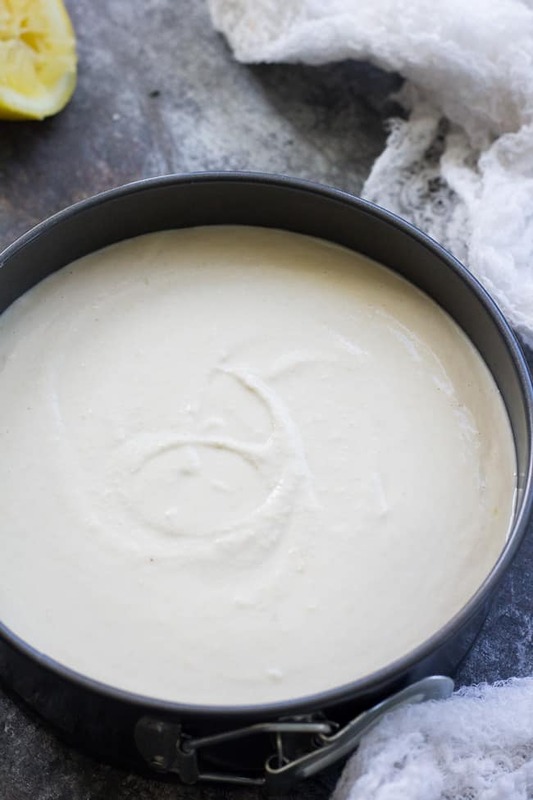 Once you assemble the cake, you cover and chill in the freezer to completely set the cheesecake, then thaw in the refrigerator several hours before serving to bring it back to a creamy consistency. You can also use a regular 8" baking dish lined on the bottom and sides with parchment paper. For the springform pan, I did not find it necessary to line with parchment paper (the cake released relatively easily after being frozen to set) but you can also line the springform pan if you wish, both on the bottom and all the way up the sides. 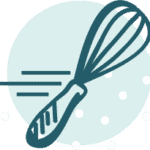 Clean out your food processor/blender to make the lemon layer. Add all ingredients and puree in food processor until smooth. 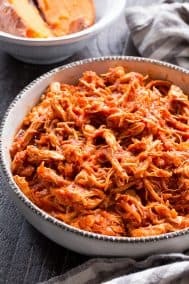 This might take several minutes depending on your food processor, you will need to scrape the sides several times to get a nice, creamy, evenly blended puree. Once smooth, pour over crust and spread evenly, chill while you make the strawberry layer. 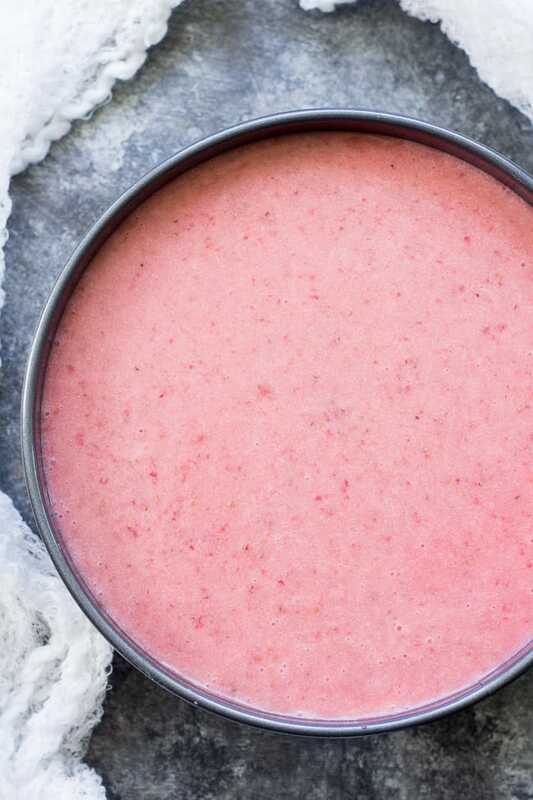 For the strawberry layer, once again add all the ingredients to your blender (no need to clean it out first since you're working with the same ingredients) and puree until you get a nice smooth consistency. Gently pour/spread over lemon layer evenly. Cover tightly wth plastic wrap and chill in the freezer until solid. 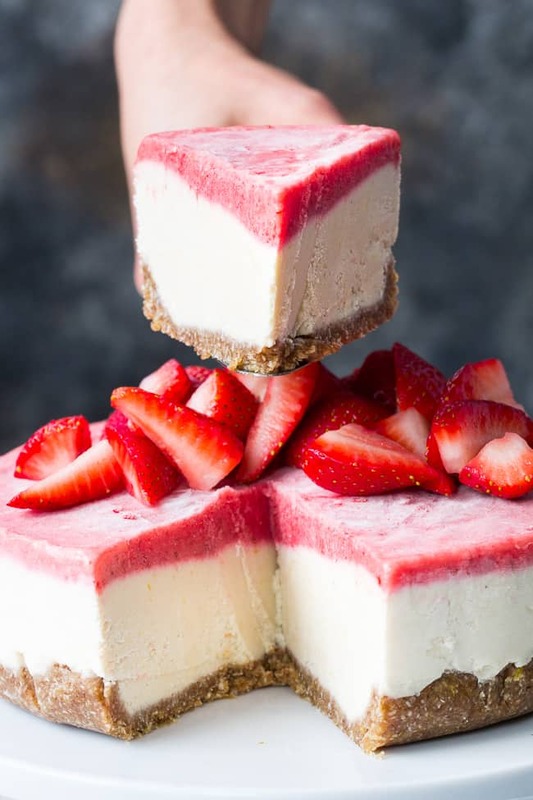 Before serving, move the cheesecake to the refrigerator to thaw for several hours. 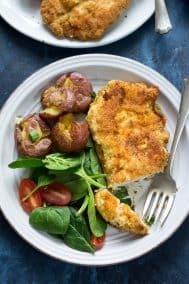 I personally found the consistency the best after being frozen, and then thawed overnight in the refrigerator - nice and creamy! You can also simply store it in the freezer and cut individual pieces to thaw as you wish. Enjoy! What’s your all-time favorite cheesecake flavor? Can you use cashew butter in place of soaking the cashews? how long do you soak the cashews for? It sounds so so creamy and delicious. I’m doing a low Fodmap right now so I can’t do cashews, but…. when I’m not doing it anymore, I want to try this! 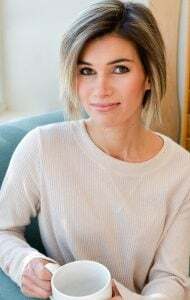 I feel like I may have to do low FODMAP soon myself, I’ve been going a bit wild lately! Hi, this looks delicious. Thanks for sharing. I’m wondering if you have the nutritional information? Will this work okay if I freeze it for 5 hours? I did not freeze it and then thaw overnight. I have been really wanting to try a cashew-based dairy free cheesecake for a while now but had no real reason to put forth the effort. Just learned I have lactose intolerance and an egg sensitivity so now I might have a good reason to!! I’ll put this one on my to-do list this summer. My only issue is these things require so many cashews and even when I get them at the cheapest I can find them around, it’s still a good chunk of my grocery bill! Any tips on where to find cheap bulk nuts? I buy these and I think it’s a decent deal, since even with a cheesecake you’re not using more than 2 cups or so at once: http://amzn.to/2sMrGyS Hope this helps! Looks so delicious!! I am allergic to gluten, dairy and cashews… I was wondering if you think blanched almonds would work instead of the cashews? I haven’t heard of anything but cashews working to make cheesecake like this, although one reader mentioned attempting with macadamia nuts. Sorry if that’s no help! Is organic extra virgin coconut oil the same as refined coconut oil? 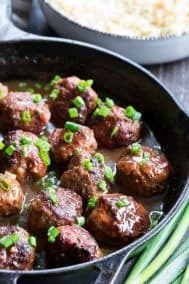 If not, what is the difference,and can I use either in this recipe? Thanks! 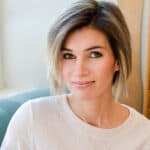 I love it when people who have tried a recipe comment on blogs…so here I go! 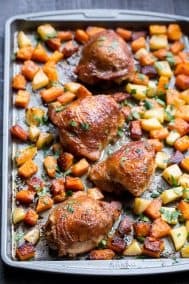 I made this recipe for the first time last week for thanksgiving! It was a risk that paid off! 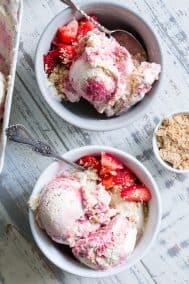 My non-paleo family members enjoyed this desert and came back for seconds! The crust is just okay and that was unanimous. But the filling was amazing! Some said it didn’t taste quite like cheesecake but maybe like key lime pie. I personally think it was a cross between the two but certainly took care of my cheesecake craving! 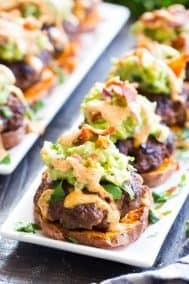 I liked the recipe so much I will be making it again this weekend for a birthday party! The crust was lemony and tasted like a graham cracker crust but the middle was bland despite adding 4 tbsp of zest. The strawberry topping was the best part (added 2 cups of strawberries). Cashews puffed up to way more than the amount in recipe after soaking. Is it ok to use them all or toss the extra?